This is one of the oldest cultivars of the "Leopard Plant", and it is the one that gives the name because of its showy spots. It is still one of the most used and loved forms. 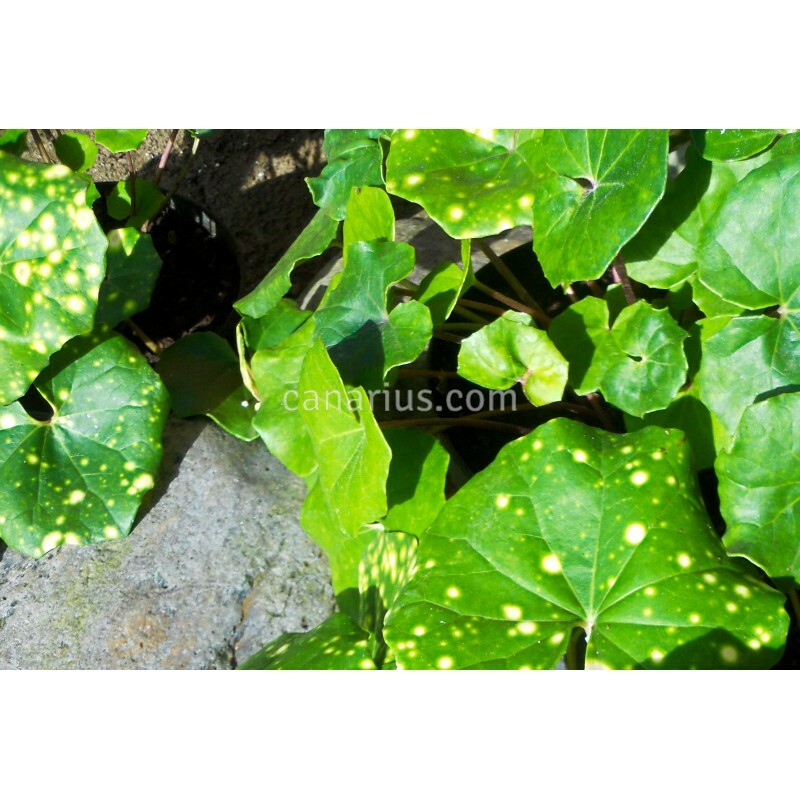 This cultivar of Farfugium japonicum does not grow very large, and the glossy blotched leaves are a show indeed. This species is native to coastal Japan. The large leaves are very ornamental and the tall, yellow, daisy-like flowers are a nice addition. Farfugium grows well in many different conditions, ranging from temperate to subtropical climates. It stands frost to about -14 Cm but it still grows well here in Tenerife, where we seldom go below +14 C ! It was formerly classified in a different plant genus and it was named Ligularia tussilaginea. If you live in the Mediterranean keep it well irrigated in summer when the heat comes in!